For more than a generation, the fossil fuel industry and the Republican Party have largely cast calls for renewable energy as part of a radical environmentalist agenda that is at odds with the economic interests of average Americans. Those pushing to reduce reliance on fossil fuels, they say, are liberal elites who aren’t hurt by higher prices for gas or electricity and radicals who are willing to wreck the economy and reduce quality of life in their pursuit of environmental utopia. 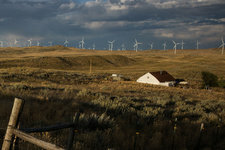 This framing has succeeded in creating resentment towards environmentalism and renewable energy particularly in parts of the country that are dependent on the fossil fuel industry, such as West Virginia, Texas, Oklahoma, Alaska and Wyoming. There are a two big reasons, however, why that framing will start to become less effective. First, the renewable energy industry is having its greatest success in many traditional fossil fuel strongholds: Texas, North Dakota and Oklahoma are all top wind energy producers. As a result, people in those states may no longer see a decrease in fossil fuel use as an economic loss, since its decline corresponds with an increase in another local industry. In Texas, Exxon Mobil is getting into the wind game. That means that no longer will campaign contributions from that company simply be a signal to elected officials to support the oil and gas industry; it may also be a signal to support wind. Second, some of these same areas of the country are also the ones dealing with the worst effects of climate change. The Gulf Coast has been battered by hurricanes. It will take years for, Houston, the capital of the U.S. oil industry, to recover from Hurricane Harvey. All throughout Texas and the southern U.S., people are enduring with record summer temperatures. While President Trump may continue to attract crowds in West Virginia with promises to make the coal industry great again, I think that in most parts of the country, including in traditional bastions of fossil fuels, renewable energy is starting to look like a much better deal. It's hard to understate what a tragedy it is that the president is trying to undermine an energy source that has the potential to do so much good for the country and world. We can debate how aggressively the federal government should promote..
Trump's latest: renewable energy will mean we'll have to turn our TVs off all of the time. It'd be funny if the consequences weren't so disastrous for the planet.